The common obstacle to overcoming high rates of complications in laparoscopic donor nephrectomy has been the steep learning curve. Laparoscopic donor nephrectomy requires much more skill and finesse than laparoscopic radical nephrectomy. There is no margin of error. Superb technique is absolutely essential to obtaining good donor outcome and recipient graph function. Training laparoscopic donor surgeons is particularly difficult. It is certainly helpful if the donor surgeon trainees already know how to perform an open nephrectomy and have laparoscopic skills. The surgeon needs to be fully trained in open surgery first. In a donor, if conversion to open surgery is required, this will need to be done very quickly and with no warning. The surgeon must pay attention to many little details constantly. The best approach is to have a team of surgeons, and constant interplay between the surgeons is valuable to constantly reaffirm safety. The stress level of these cases is an order of magnitude higher than that with ordinary laparoscopic surgery. In general, an individual surgeon does not really feel comfortable until he has performed more than 100 cases. However, mastering the technical skills is only one part of the equation to a successful donor program. The real challenge with laparoscopic donor nephrectomy is achieving and maintaining the skill levels required for the entire laparoscopic team. The team participating in the surgery includes surgeons, anesthesiologist, circulating nurses, and surgical technicians. Each one of these team members plays a vital role. Team cohesion, consistency, and skill are all vital to successful outcomes—especially in the event of an emergency. In these situations, the surgical team's immediate action is paramount. The anesthesia team must try to optimize the renal function and be prepared for potential problems such as bleeding, pneumothorax, and position-induced injuries. Skilled operating room personnel need to know where each piece of equipment is and how to retrieve elements quickly. A kidney donor is ostensibly a healthy adult and the requirement for safety is absolutely paramount. Assembling a correct and committed team is the first step to assuring donor safety. The authors prefer a standard transperi-toneal approach. The main advantages of the transperitoneal approach are twofold. First, the transperitoneal approach allows for a large working space and good visualization of the entire operative field. 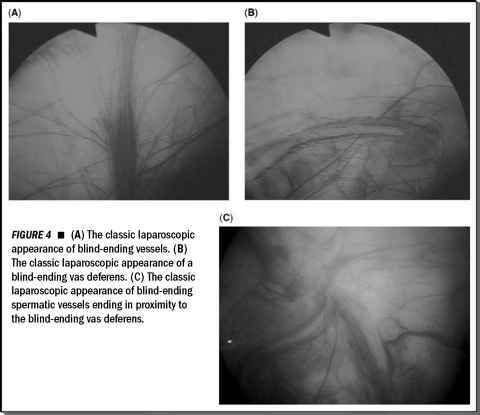 Second, in cases of surgical emergency and conversion to an open technique, rapid visualization and access to the great vessels is optimal with the transperitoneal approach. The disadvantage of the transperitoneal approach is the dissection of the intraperitoneal organs in accessing the retroperitoneum. Mobilization of the intra-abdominal organs exposes these organs to potential injury.